I’m so excited that I’ve discovered cheesecake that I can eat! I think I’ve made five versions in the past two weeks. My family and I have thoroughly enjoyed all the taste testing and I’ve got to admit, there are more cashews soaking this minute for my next version. No, this version isn’t SCD legal, I’ll post one that is tomorrow, I promise. 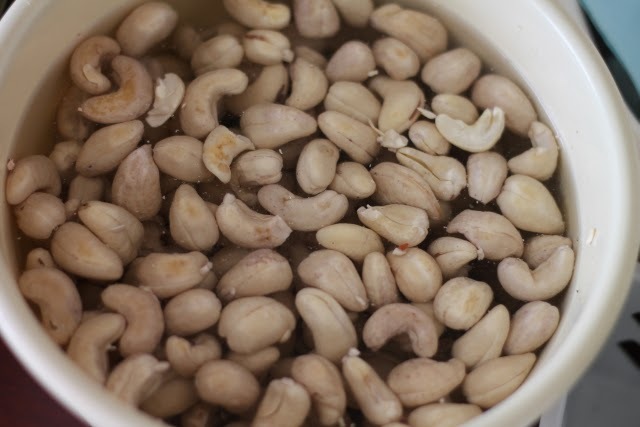 (Get your 3 cups of raw cashew soaking now!) But due to popular demand, here is my new Chocolate Bavarian Cheesecake. 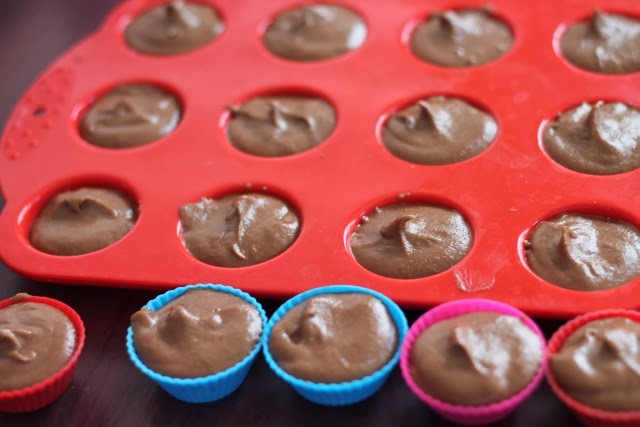 You’ve got to try this one; it’s so quick, easy and DIVINE! Don’t be confused, I’ve given you two options for the base and options for whether you want one large or lots of mini cheesecakes. Enjoy! Grind the chocolate cookies in a food processor until fine. Add the melted coconut oil and process until mixture sticks together. Add another tablespoon of coconut oil if you need to. Press the crumbs into the base of a 21cm springform tin. If you don’t have a springform tin, just line your tin with plastic wrap or baking paper so you can remove it easily. When your nuts are finely chopped, drain the soaked dates, getting out as much water as you can. Then add them to the food processor and process until it makes a sticky dough. Drain the cashews well. 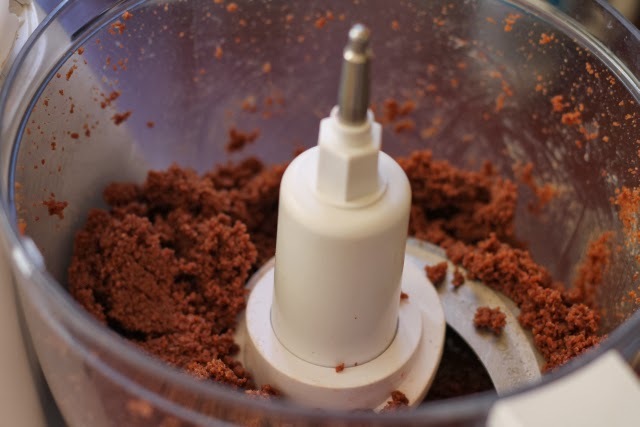 Put all of the filling ingredients into a high speed blender or processor and process until smooth. I have a new Froothie blender that is amazing! I compared it to the Vita Mix and it’s cheaper and more powerful. You know I love a bargain. Anyway, I’m really happy with it and it makes amazing cheesecake filling! You will need to use the tamper if you have one and regularly scrape down the sides to make sure all the ingredients are blended together. Keep processing until it is super smooth. Lots of taste testing needed for this step! Once the mixture is smooth, scrape it all into your pan, on top of the base mixture. Spread it out with a spatula. Cover with plastic wrap, then put into the freezer for at least 6 hours to set. While it’s defrosting, beat the cream that rises to the top of the coconut cream after it’s been refrigerated. Use electric beaters and add some honey to taste if you like. 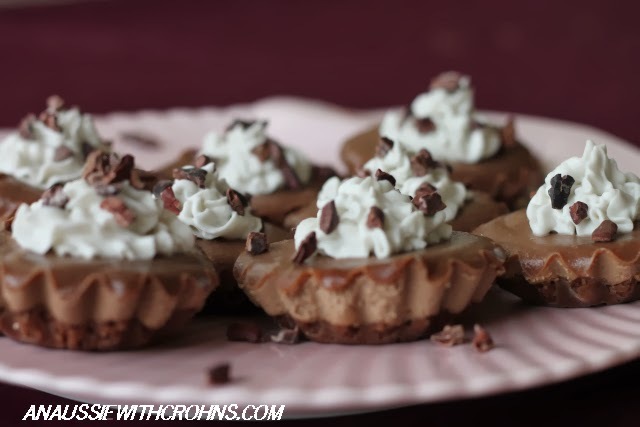 Spread or pipe the cream over the top of your cheesecake and decorate with cacao nibs. I thought adding the orange juice would make this a jaffa tasting cheesecake. Strangely, it didn’t, you can’t taste the orange juice at all, but it did give it a little something. If you don’t have any OJ, sub with another juice or add more coconut milk. If you wanted to make this a Jaffa Cheesecake, adding some orange zest might help. I may have to try this! Anyway, I hope you’ll give this a try! It is quick and easy and SO impressive. All of my taste testers couldn’t believe it wasn’t made with dairy and nobody would guess it was made with cashews. Is my diet restrictive? Not when I can eat cheesecake!